PLANO, Texas – December 15, 2016 – Community Health Network/Indiana ProHealth Network (CHN/IPN), which is ranked as one of the most integrated healthcare systems in the United States, has become the newest ZeOmega® health system client. CHN/IPN also plans to leverage the unmatched capabilities inherent in the end-to-end Jiva™ platform to integrate data, streamline efficiencies, and improve collaboration. PLANO, Texas – December 14, 2016 – MDwise, the largest not-for-profit health plan in the State of Indiana, has become the latest ZeOmega® client to extend its contract for the next term. Additionally, the organization will upgrade to Jiva™ 6.1, the newest release of the HIE-enabled end-to-end Jiva platform. PLANO, Texas – December 13, 2016 – ZeOmega® Inc., a market leader in population health management, today announced the general availability of Jiva™ 6.1. The innovative platform is a veritable one-stop-shop solution for value-based care. Its advanced capabilities are specifically designed to help healthcare organizations thrive in achieving Triple Aim goals and transitioning to new risk-based care delivery and reimbursement models. PLANO, Texas – November 7, 2016 – ZeOmega® Inc., a market leader in population health management, has continued its momentous run of successful client renewals and upgrades with Group Health Cooperative (Group Health®). Specifically, Group Health has extended its ZeOmega contract for the next term and will upgrade to Jiva™6.1, the newest release of the HIE-enabled, end-to-end, Jiva platform. PLANO, Texas – October 13, 2016 – ZeOmega Inc., a market leader in population health management, today announced that HealthSmart, a leading provider of modular and scalable health plan solutions for self-funded employers and organizations, has extended its contract for the next term and upgraded to the latest version of the Jiva™ population health management solution. PLANO, Texas – September 8, 2016 – A large Medicaid health plan in the northeast has won its second state contract to deliver a long-term services and supports (LTSS) program using Jiva™ from ZeOmega®, a market leader in population health management solutions. The plan’s first state LTSS program went live April 2016, and its second is scheduled to go live July 2017. The new LTSS program will also use Jiva, an HIE-enabled, modular, and scalable platform for managing population health that will enable seamless stakeholder collaboration as the health plan and its hospital partners manage Medicaid enrollees needing long-term care services. PLANO, Texas – August 9, 2016 – ZeOmega® Inc., a market leader in population health management, today announced that Integra Connect, a provider of integrated cloud-based technologies and services for value-based specialty care, will integrate Jiva™ Population Health Management (PHM) functionality into its solution portfolio. The capabilities will support the seamless transformation of specialty physician practices to supporting alternative payment models and accompanying regulatory mandates. PLANO, Texas – August 4, 2016 – – The Sequoia Project, an independent advocate for the implementation of a secure, interoperable, nationwide health information exchange (HIE), has validated Jiva™ HIE Connect 6.0.2 from ZeOmega® Inc. for use with the eHealth Exchange. As a validated solution, Jiva HIE Connect can now exchange data with the largest HIE in the United States. PLANO, Texas – July 21, 2016 – ZeOmega® Inc., a market leader in population health management solutions, has partnered with Durham NC-based Forecast Health(SM) Inc. to provide state-of-the-art risk analysis through Jiva™ Sentinel Predictive Analytics from ZeOmega. Referencing a rich warehouse of social determinants of health data, the predictive analytics solution now offers levels of accuracy nearly twice those of other commonly used patient-risk assessment tools. And those same social determinants of health data can be used to help identify and manage the causes of a patient’s risk. PLANO, Tex. July 13, 2016 – ZeOmega® Inc., a market leader in population health management solutions, today announced that the Medical Information Network – North Sound (MIN-NS), an independent community-based health information exchange (HIE) in Mount Vernon, WA, has added Jiva™ Population Health Management (PHM) solution to its existing Jiva HIE capabilities. MIN-NS will leverage Jiva PHM to support patient-centered, outcome-focused care management across its member network of over 20 clinical facilities in Skagit and other surrounding counties. PLANO, Texas – June 30, 2016 –ZeOmega®, a market leader in population health management solutions, has received an impeccable SOC 2, Type 2 report from a recent audit of its information systems services. The result assures healthcare organizations licensing its solutions that the controls ZeOmega uses related to security, availability, and confidentiality are both comprehensive and highly effective. Designed by the American Institute of CPAs (AICPA), Service Organization Controls (SOC) reports help organizations that provide information systems services build trust and confidence in their delivery processes and controls. A Certified Public Accountant (CPA) preparing an SOC report reviews these processes and controls and then offers the audited organization guidance for improving them. SOC 2 reports specifically look at controls relevant to security, availability, and confidentiality. PLANO, Texas – June 28, 2016 – ZeOmega® Inc., a market leader in population health management, has announced that a large multi-state Managed Medicaid health plan client has extended its contract for the Jiva™ Population Health Management Solution for an additional five years. To date, Jiva has enabled the health plan to expand its covered lives from 780,000 to 2.4 million. The client will continue leveraging Jiva to quickly add new lines of business in-house and improve care transitions as it increases services to vulnerable populations. The health plan serves a total of more than 5 million members in 19 states and the District of Columbia through a network of over 20,000 providers across nine Medicare and Medicaid plans and numerous third-party arrangements. The client is extending its Jiva deployment to also include among others Jiva’s Admission, Discharge, and Transfer functionality to provide case managers with more complete patient information, enabling them to better coordinate care as members transition between multiple clinical settings. Read More. 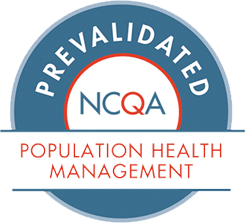 PLANO, Texas – May 25, 2016 – ZeOmega® Inc., a market leader in population health management, has launched the Jiva™ Consultant Certification Program for clinical and technical consultants who wish to increase their proficiency in the implementation and use of the Jiva Population Health Management platform. ZeOmega launched this program in response to anticipated increase in demand for Jiva expertise as more healthcare organizations use Jiva to manage the clinical and financial risk of the populations they serve. Read More. May 24, 2016 – ZeOmega® Inc. today announced an agreement to integrate ZeOmega’s Jiva™ population health management solution with McKesson’s InterQual® Connect™ authorization and connectivity solution. Jiva delivers high-value, strategic solutions enabling payers and care-delivery organizations to improve individual health and provider performance. McKesson InterQual Connect is the first cloud-based medical review service with authorization connectivity, ushering in a new streamlined approach to utilization management. When integrated into Jiva, the power of cloud connectivity is unleashed to give payers and providers an efficient workflow to automate authorization—all without ever leaving Jiva, making it fast, easy, and cost-effective to implement and deploy. Read More. May 11, 2016 – ZeOmega®, a market leader in population health management solutions, has released its new and enhanced Clinical Assessment Protocols (CAPs), which among others, include integrated care management assessments to facilitate the holistic care of patients, particularly those with multiple conditions. Available in versions 5.6 and later of its Jiva™ platform, ZeOmega’s integrated assessments are whole-person centered, age group specific, and cover a wide range of conditions including psychosocial determinants of health that are often key to driving outcomes. The flexible, comprehensive, and cumulative assessments, developed based on NCQA and URAC measures and standards, are designed for use over multiple patient conversations across the continuum of care. Read More. March 1, 2016 – ZeOmega® Inc., a market leader in population health management, announces the launch of Jiva™ for Performance Management, a software-as-a-Service (SaaS) solution that enables healthcare organizations to quickly and efficiently manage the clinical and financial performance of their pay-for-performance and readmission reduction programs across multiple payers, including Medicare, Medicaid, and commercial contracts. Read More. Feb. 23, 2016 – ZeOmega® Inc., a market leader in population health management solutions, and Vivify Health, a leader in Remote Patient Monitoring technology and services, today announced that Vivify mobility applications will integrate with ZeOmega’s Jiva Population Health Management platform. Healthcare organizations can now use Jiva™ and Vivify solutions not only to better engage patients during the post-acute recovery period, but also to manage chronic care across multiple populations, including the frail and elderly, and populations with complex co-morbidities. Read More. Jan. 19, 2016 – ZeOmega® Inc., a market leader in population health solutions, today announced that its Jiva PHR Release 2015 has achieved ONC HIT 2014 Edition Modular EHR Certification. The designation means that the software is capable of supporting eligible hospitals with meeting the Stage 1 and Stage 2 Meaningful Use measures required to qualify for funding under the American Recovery and Reinvestment Act (ARRA). Read More. Jan. 13, 2016 – Indiana’s largest not-for-profit health plan, MDwise, Inc., is using ZeOmega® Inc. technology to improve medication safety and help reduce chances for medication-related issues as patients move through the care continuum with the end goal of achieving better health outcomes. MDwise is focusing on medication by adding Medication Therapy Management (MTM) Part D functionality in the Jiva™ population health platform from ZeOmega. Read More.